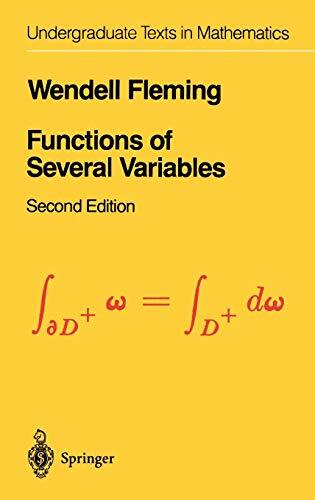 Functions of several variables / Wendell Fleming. 10^aFunctions of several variables /^cWendell Fleming. ^axi, 411 p. :^bill. ;^c25 cm. 0^aFunctions of several real variables.